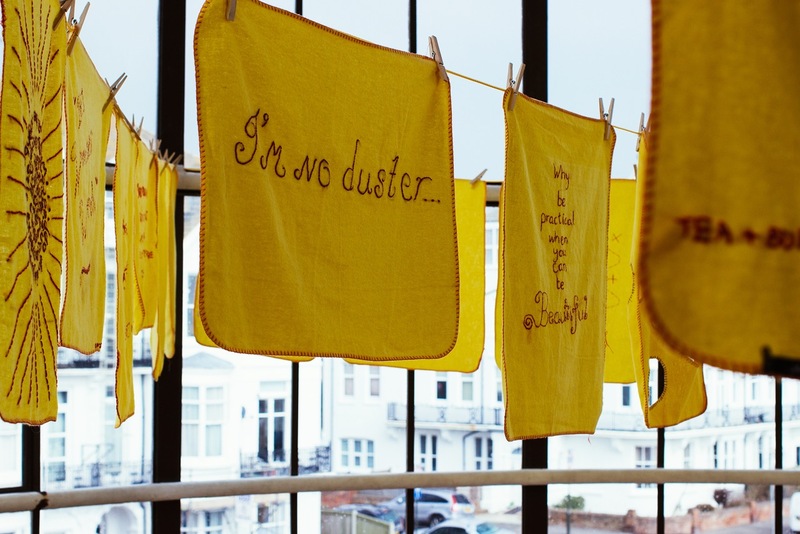 This project invites people to commit onto a duster their own views and experiences on the relationship between women and domesticity. Participation is invited not just from artists but from anyone who had an opinion. So far contributions have ranged from poetic quotes, to resentful statements, to images, to fond memories. 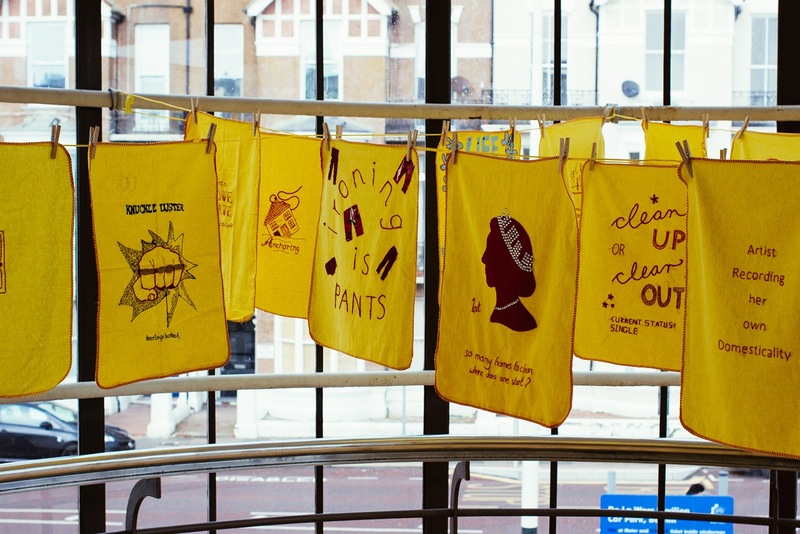 Artist, designer and lecturer Vanessa Marr selected traditional dusters as a metaphor for domesticity because they are mundane (like most domestic tasks), yet visually appealing in their brilliant bright yellow. 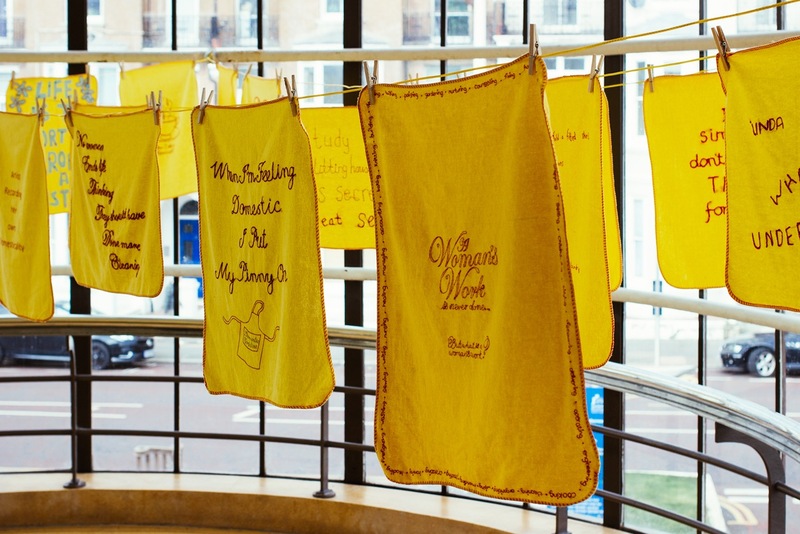 When exhibited the dusters are strung together like flags proclaiming a multitude of opinions, stitched with red thread to represent femininity. 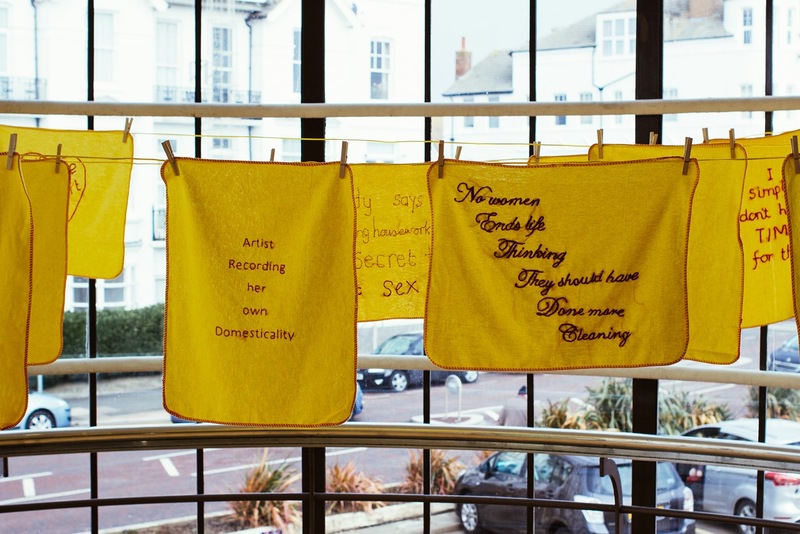 The ‘Women & Domesticity’ duster project started in response to Vanessa’s now completed MA in Sequential Design & Illustration with the University of Brighton. 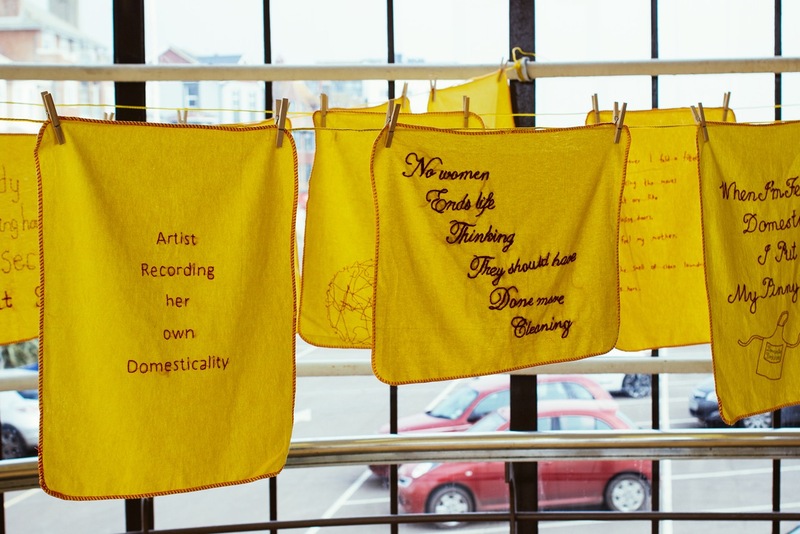 She wrote poetry and embroidered a collection of dusters commenting upon the expectations of women within a domestic environment. Popular fairy tale phrases were juxtaposed against definitions of domesticity, brutality, protectiveness and femininity, questioning the promises told through fairy tales to women and girls. Determined that the work didn’t end there, and keen to include other perspectives, the idea for this collaborative project was launched. To date the collection boasts over 80 separate contributions. 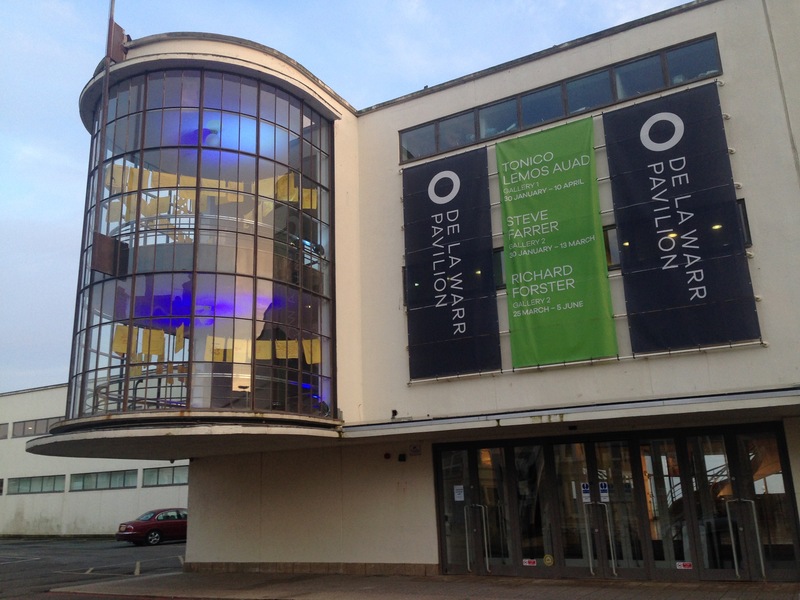 Since February 2015 it has been regularly exhibited along the South Coast including the De La Warr Pavilion in Bexhill-on-Sea, and at the Geffrye Museum in London during an academic symposium exploring artistic responses to the home with the Queen Mary University. Subject to funding it is hoped that this idea can grow and grow!